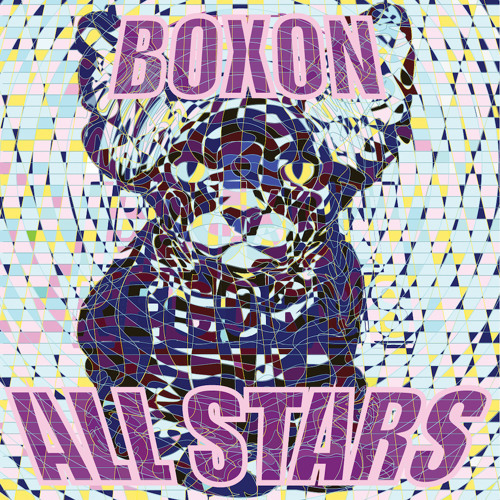 BOXON ALL STARS by Various Artists. Reference : Boxon056. DIGITAL RELEASE : January 20th, 2015. PRE-ORDER on iTunes : December 8th, 2014. Tracklist : 1/ Sovnger "Dead Head feat. Lux Montes" 2/ Adrarion "Encelade" 3/ Prosper & Adam Polo "On Disco Street feat. The Woodhead" 4/ Nicolas Cuer & Sebastien Bayle "Blood Havana" 5/ Lemon Peel "Love Love (Prosper & Adam Polo Remix)" 6/ Loïs Plugged & Fruckie "Ctrl On" 7/ Aert Prog "Game Code" 8/ Leonard de Leonard "Do You Get More" 9/ Gooseflesh "Urban Bug" 10/ Frederic De Carvalho "To-Get-Her" 11/ Nicolas Cuer & Sebastien Bayle "Children Of Bangkok" 12/ Spaam "Shoe Shining" Total time : 1:00:17. Mastered by NUBroduction. Artwork by Eric Bévernage. (P) & (C) 2014 Boxon Records ; published by Humaine Box. (°-°)-(°-°)-FR-(°-°)-(°-°) BOXON ALL STARS (compilation). Le label sort sa cinquième compilation (après les réussies Boxon Makes Me Happy, Boxon Makes Me Crazy, Boxon Makes Me Bloody, Boxon Makes Me Alive, ndlr). De l’ambient à la production bien léchée avec «Dead Head feat. Lux Montes» de Sovnger à l’efficace «Shoe Shining» de Spaam, en passant par le mélodique «Encelade» d’Adrarion, la tech-house groovy «Game Code» du projet Aert Prog, la compilation réunit des artistes déjà signés sur le label au côté d’autres découvertes. Une ambiance conviviale que l’on retrouve tout au long de la compilation avec le morceau disco-club «On Disco Street feat. The Woodhead» de Prosper & Adam Polo, les synthétiseurs analogiques de Leonard De Leonard sur «Do You Get More», les guitares de Lemon Peel sur le titre «Love Love», sans oublier la participation de Frederic de Carvalho au projet avec «To- Get-Her», Loïs Plugged & Fruckie avec «Cntrl On», ni le dancefloor avec «Urban Bug» de Gooseflesh et les productions entêtantes de Nicolas Cuer & Sebastien Bayle. Avec tous ces fantastiques morceaux et artistes, la compilation BOXON ALL STARS est un vrai régal auditif. The BOX is ON ! (°-°)-(°-°)-UK-(°-°)-(°-°) BOXON ALL STARS (compilation). The label is releasing its fifth compilation (after the successfull Boxon Makes Me Happy, Boxon Makes Me Crazy, Boxon Makes Me Bloody, Boxon Makes Me Alive, ndlr). From the ambient and well produced «Dead Head feat. Lux Montes» by Sovnger to the effective «Shoe Shining» by Spaam, through the melodic «Encelade» by Adrarion, the groovy tech-house «Game Code» from the Aert Prog project, the compilation is presenting the works from artists already signed on the label with other discoveries. A friendly atmosphere that we found throughout the compilation with the disco-club track «On Disco Street feat. The Woodhead» by Prosper & Adam Polo, the analog synthesizers by Leonard de Leonard on «Do You Get More», the guitars by Lemon Peel on the title «Love Love», not forgetting the participation of Frederic De Carvalho to the project with «To-Get-Her», Loïs Plugged & Fruckie with «Cntrl On», neither the dancefloor with «Urban Bug» by Gooseflesh and the heady productions by Nicolas Cuer & Sebastien Bayle. With all these fantastic tracks and artists, the BOXON ALL STARS compilation is a real treat hearing. The BOX is ON !